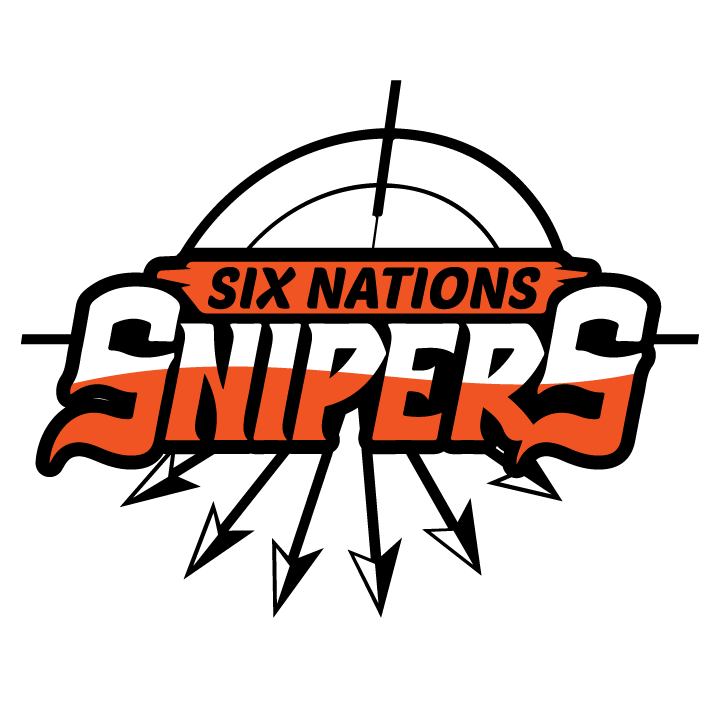 Despite having a losing regular season record, the Six Nations Snipers are still hoping to win a league championship this season. The Snipers are one of the seven franchises in the Ontario-based Arena Lacrosse League (ALL). The Six Nations squad registered a 5-9 mark in regular season action. The Snipers ended up in sixth place in the league standings. Just two ALL clubs ended up with winning records this season. The St. Catharines Shockwave finished atop the circuit with a 13-1 mark while the Peterborough Timbermen won nine of their 14 outings. The Snipers will square off against the Paris RiverWolves in a quarter-final contest on Saturday. That game will be staged at the Toronto Rock Athletic Centre, which is actually located in Oakville, Ont. The RiverWolves, who registered a 6-8 record, placed third in the ALL standings. “I think we’re going to surprise a few teams (in the playoffs),” said Darcy Powless, who doubles as the Snipers’ head coach and general manager. Powless said the Snipers established a team goal of winning the ALL crown at the start of the 2019 campaign. “That’s what we’re still shooting for,” he said. The Six Nations squad is also encouraged by the fact it was able to hand the Shockwave its only regular season loss. The Snipers defeated St. Catharines 14-9 in a game held on March 24 at the Iroquois Lacrosse Arena in Hagersville. Another reason why the Snipers are encouraged heading into their contest with the RiverWolves is because of their regular season performances against the Paris team. The RiverWolves did squeak out wins against the Snipers in their first two matchups. During the first meeting back on Jan. 27, Paris eked out a 13-12 win by scoring with four seconds left in the game. The RiverWolves then required overtime to beat Six Nations 11-10 on March 2. But the Snipers managed to defeat Paris 17-16 in their most recent battle, on March 16. Powless believes his side does have a significant edge over the RiverWolves. The Snipers will also welcome back one of their key performers, defender Brock Farmer, for Saturday’s playoff tilt. Farmer missed a good chunk of the season after sustaining injuries in a car accident. “He’s a big guy and he will make his presence known,” Powless said. Farmer appeared in just five games for the Six Nations club this season. Besides being a stabilizing force on defence, he chipped in offensively with six points, including a pair of goals. Two other ALL quarter-final matches will also be held this weekend in Oakville. The Timbermen will square off against the sixth-place Whitby Steelhawks, who won five of their regular season tilts on Saturday. And the Oshawa Outlaws, who ended up in fourth place with a 6-8 record, will be up against the fifth-place Toronto Monarchs, who compiled a 5-9 record. The Monarch, Snipers and Steelhawks all had identical regular season records. Toronto was awarded fourth place because it beat the Snipers in both of their regular season meetings. And the Snipers ended up ahead of the Steelhawks because they downed Whitby in both of their matchups. Powless had an indication it would be a challenging year for the Snipers. Of the 35 players listed on the Snipers roster a year ago, Powless estimates only about 10 of them returned this year. But the Snipers were not the only ones who had a large turnover. So too did the Steelhawks, who captured the 2018 ALL championship. The ALL has a working relationship with the National Lacrosse League (NLL), the top pro box lacrosse league in the world. Powless anticipates some of the current Snipers will also move up soon. “Come next year I expect a few of our guys will be gone, especially since the NLL is going to have two more teams,” he said. All seven franchises in the ALL will compete in this year’s playoffs. By placing first, the Shockwave does not have to play a quarter-final contest and earned a bye into the semi-finals.